This goes in the "images we love category". 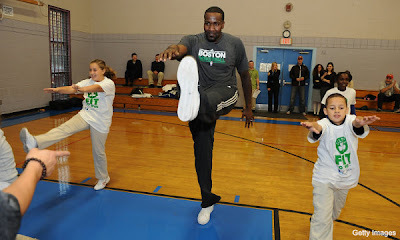 Check out Kendrick Perkins working it out with the kids. The story is K.P. was there for the Celitics Community Fit program as part of the NBA Cares initiative.